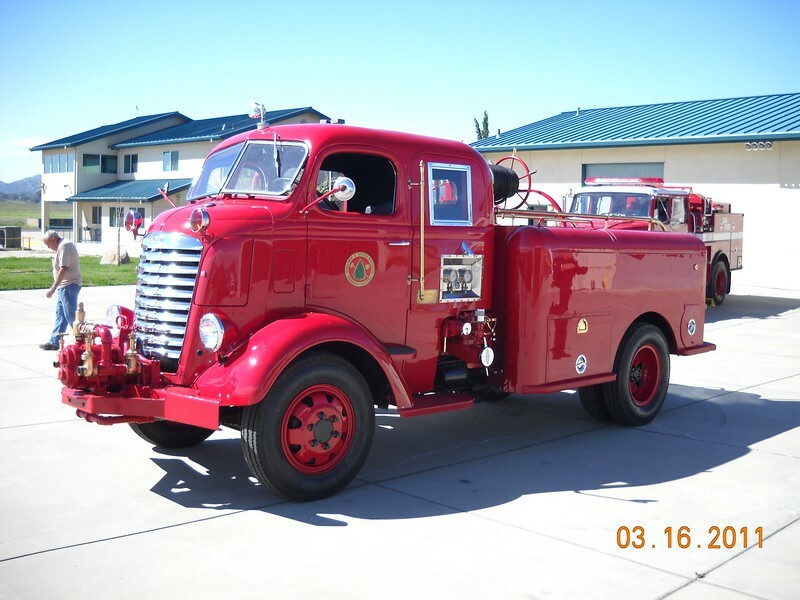 The CDF/Cal Fire Museum holds title to 23 fire engines in various states of restoration or repair from all parts of the state. This gallery represents the best of those; 6 units owned by the museum and currently restored to operating condition, licensed and insured for show in exhibits or parades. Not yet pictured is a 1929 Ford Model AA from Nevada City; This is only a sample of the variety of mobile equipment owned by the CDF/Cal FIre Museum, which we hope to restore and preserve for future generations. 1939 GMC affectionately known as "Big Jimmie". This truck is one of two built by the CDF shop in La Mesa, MVU. Later purchased by the Museum and restored at Parlin Fork camp. Currently housed at Ramona, MVU.